Experience a unique and integral part of Columbus’ charm and heritage by exploring the town’s African-American historical sites. 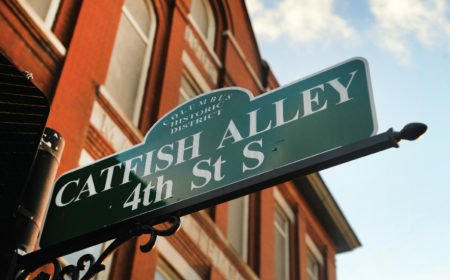 One such place is Catfish Alley, a central meeting and business district for the African-American community in the late 19th and early 20th centuries. This area, named for the local catch once fried and sold along this street, sits in the heart of beautiful downtown Columbus. Discover Civil Rights Heritage attractions!